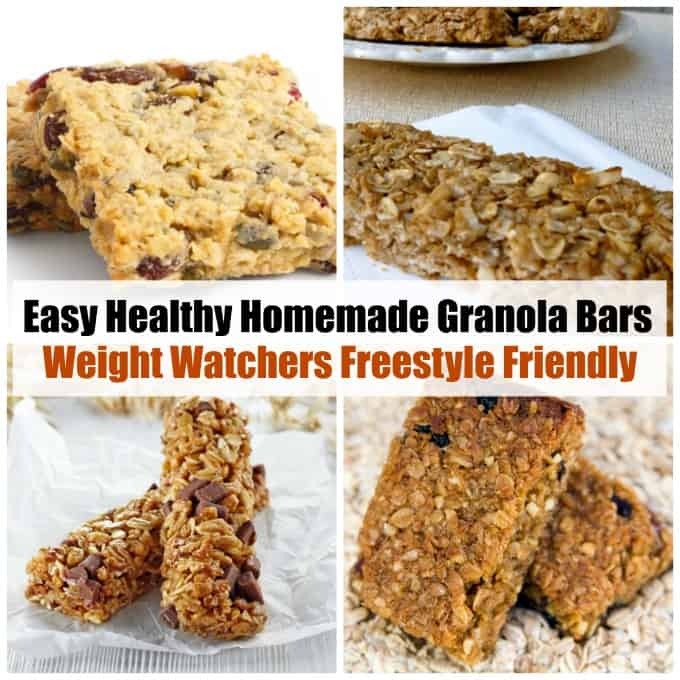 Today I’m sharing a collection of Healthy Homemade Granola Bar Recipes perfect for Weight Watchers. 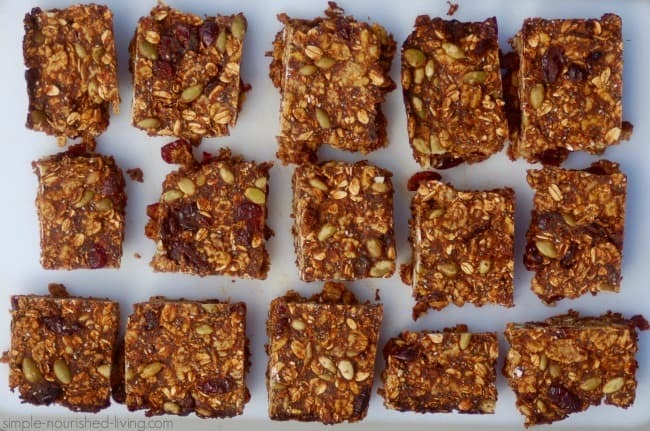 Granola/energy/protein/cereal bars are a convenient, grab-and-go snack to have on hand for busy days. Unfortunately they are often full of added sugar and other not-so-healthy ingredients and sometimes taste kinda fake. These recipes are an easy, healthy, homemade alternative. Freeze your homemade creations — all made with a variety of nuts, seeds, fruit and grains — for a later date, or pack your freshly made bars in a freezer bag for a portable breakfast or late afternoon snack. 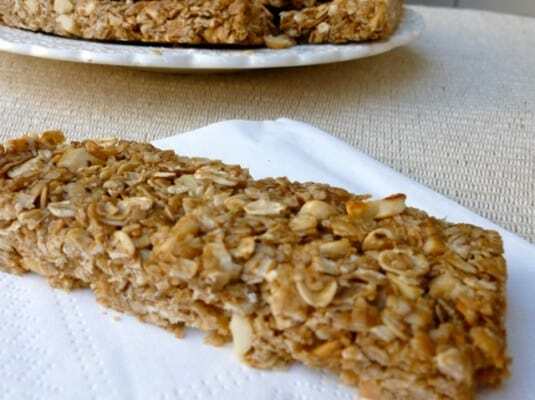 This recipe makes delicious soft and chewy healthy granola bars (or energy bars) full of oats, dried fruit, and whole grains. They are not overly sweet – just lightly sweetened with the natural goodness of maple syrup – my favorite natural sweetener. 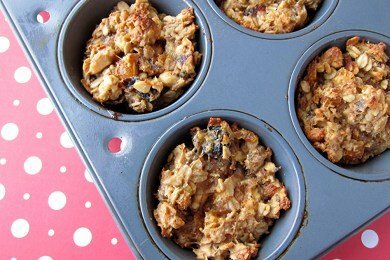 Not only are they healthy and delicious, they are easy as pie to make. 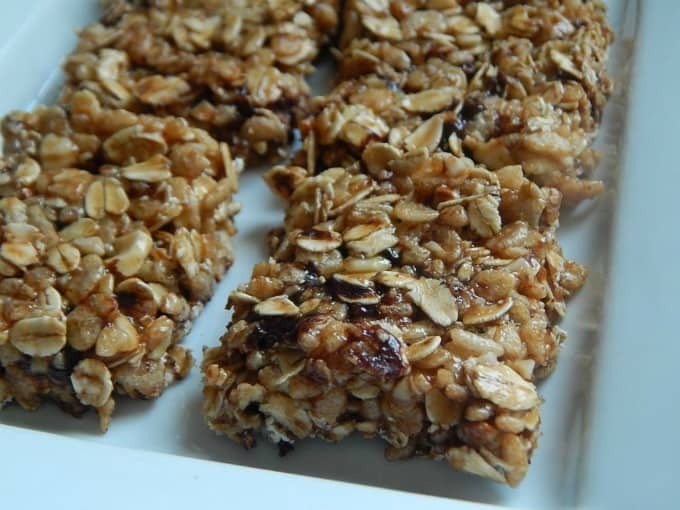 This recipe makes a cake-like soft and chewy granola/energy bar. According to my calculations, each bar has about 133 calories, *4 Weight Watchers PointsPlus, *5 WW Freestyle SmartPoints. Enjoy! 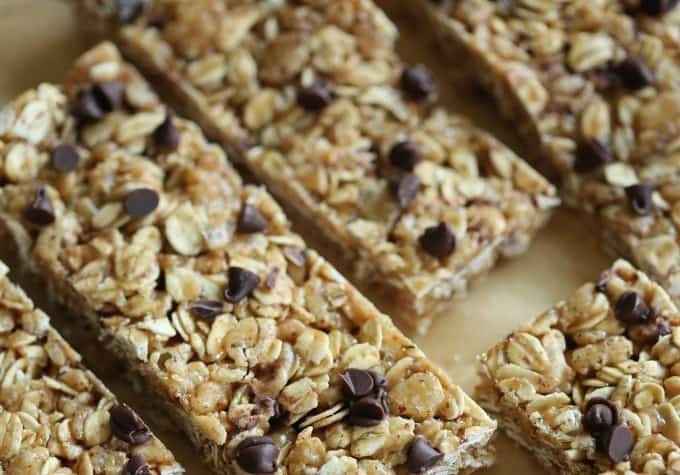 These healthy breakfast bars contain no processed sugar and are brimming with good-for-you ingredients. Make these bars at the weekend, and you’ll be set up for the week if you’re someone who needs to grab-and-go in the morning. I thought these breakfast bars were good. Chewy, satisfying and not overly sweet. Adapt these to what you like and have on hand. You can, for example, use sunflower seeds in place of flaxseeds, or half and half rather than all flaxseeds, and you can also use puffed rice or buckwheat flakes in place of cornflakes. According to my calculations each bar has about 200 calories and *6 Freestyle SmartPoints. 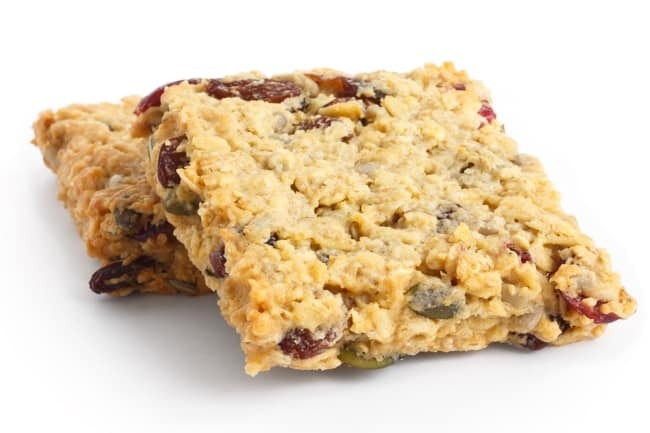 Packed with real oats, honey, chopped peanuts, and peanut butter, they are like Nature Valley peanut butter crunchy granola bars, only better. This recipe makes 16 crunchy peanut butter granola bars, each with 203 calories, *5 Weight Watchers PointsPlus, *7 WW Freestyle SmartPoints. one of my favorite of her cookbooks. 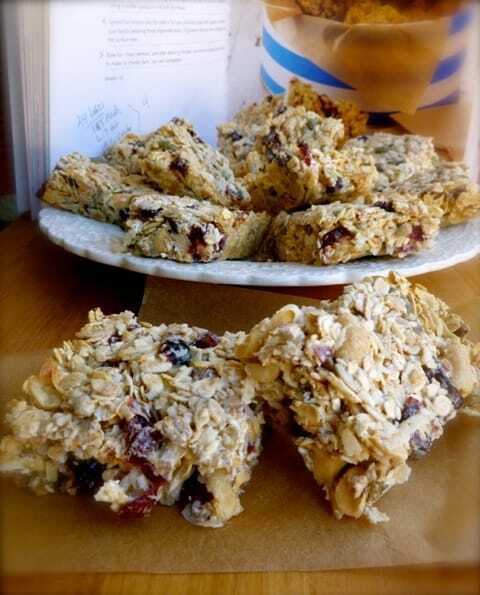 As soon as I saw the picture of these homemade breakfast/granola bars, I had a feeling I would fall in love with them. They’re chock-a-block full of some of my favorite things including, coconut, dried cranberries, pumpkin seeds, sesame seeds, sunflower seeds, and peanuts, all held together with sweetened condensed milk. To make them Weight Watchers friendly, I substituted nonfat sweetened condensed milk and cut them into 24 bars, instead of the suggested 16, giving them a WW Freestyle SmartPoints value of 7.